Despite warnings that they will harm Colorado’s oil and gas industry, new tighter regulations have been signed into law by the state’s governor. Gov. 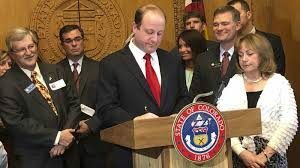 Jared Polis signed into law a major overhaul of state oil and gas rules. “Today, with the signing of this bill, it is our hope that the oil and gas wars that have enveloped our state are over, and the winner is all of us,” said the governor during a signing ceremony on Tuesday. The new law was approved by the legislature even though Colorado voters last year voted down similar restrictive efforts against the industry. The new rules will turn the focus from encouraging production to one of public safety and making the environment a top issue. They also give local governments new power to restrict the location of wells. It could mean limits or prohibition of wells near homes and schools. Much of the effort to create the new law came after a 2017 gas line explosion in Frederick that killed two men. 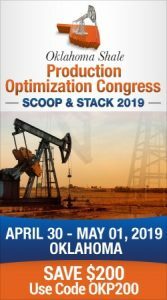 However, residential growth has also added growing concerns as new housing encroached into Colorado’s most productive oil and gas areas north of Denver. Critics contend the state’s industry will be harmed and production will likely be affected, maybe forcing some energy companies to take their efforts to other states. The industry contributes $32 billion a year to Colorado’s economy and provides 89,000 direct and indirect jobs. But there is backlash to the law. In Weld County where there is active drilling and oil and gas production, a county commissioner is leading a move to ask voters to overturn the law in November. Commissioner Barbara Kirkmeyer is also critical of Democratic Rep. Rochelle Galindo who voted for the bill. A drive has been started to oust her from office. Her opponents will need 5,700 signatures by June 3 to force a recall vote. Colorado voters had earlier voted down efforts to create tighter restrictions on the industry, including one to increase drilling setbacks from homes and public buildings. The new law does not change the 500 foot setback now required but it allows local governments to limit where the wells can be drilled. Dan Haley, president of the Colorado Oil and Gas Association indicated it might take years to write the details of the law.